The Russian and US presidents may hold another summit on October 7 and continue their discussion on the Syria crisis. The invitation comes from Vladimir Putin, who will be celebrating his birthday that day. The new meeting between the two leaders could take place in Indonesia, in the background of the forthcoming APEC summit in Bali. Vladimir Putin’s aide Yuri Ushakov told reporters on Thursday that the meeting was proposed by the Russian side. “There was a dynamic and very useful contact in St. Petersburg. It is very logical that, considering the works on the Syrian topic, they meet again in Bali. We support this,” RIA Novosti quoted him as saying. Ushakov also added that the idea of the new meeting first appeared during the preparations for the APEC summit and this was a Russian side’s idea that was immediately supported by the US side. 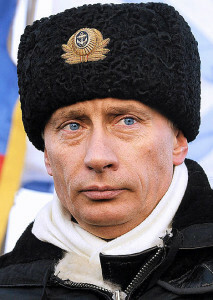 If the Bali meeting takes place it would fall on Vladimir Putin’s 61st birthday. The last meeting between Russian and US presidents took place in Russia’s St. Petersburg in early September this year as the city was hosting the G20 summit. Initially, Barack Obama had planned to meet Putin during a visit to Moscow, timed with the summit, but this visit was canceled, reportedly over the two nations’ disagreements on a number of issues – first of all, the situation in Syria and the fate of NSA whistleblower Edward Snowden. “The relations between Vladimir Putin and Barack Obama are those that should be between the leaders of two states that share the responsibility for global security and stability. They are very constructive, though lately they have plenty of quite serious contradictions,” the Russian President’s press secretary Dmitry Peskov noted back in September. No agreements were reached in St. Petersburg, but the talks possibly paved the way to the US support of the Russian plan to take Syrian chemical weapons under international control, that was agreed later by the two countries’ chief diplomats, Sergey Lavrov and John Kerry.